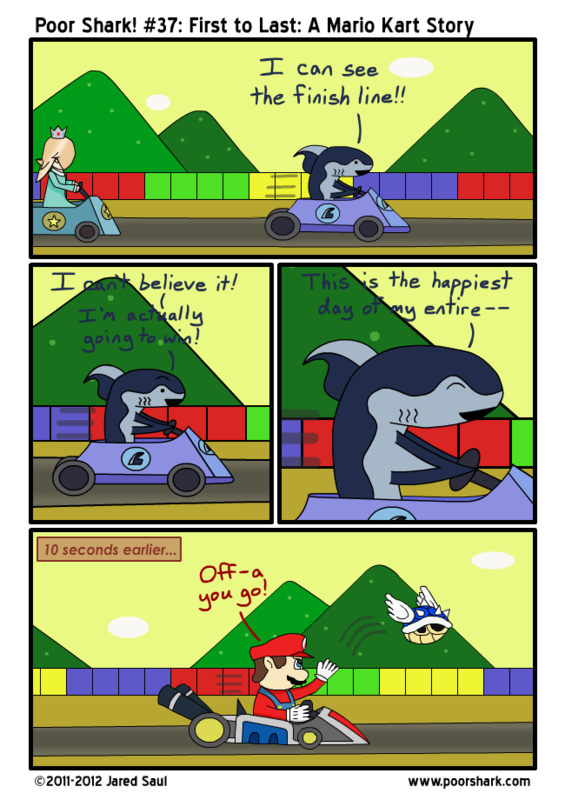 It was either I change Shark’s text away from yellow for this comic, or I start using speech bubbles. Don’t really know which one works better. I was playing MK7 online with a friend the other night, was out in first, then got hit by a red shell. As soon as I recovered the fifth- or sixth-place player whacked me with a star as he flew by. I was all “Dang, I was leading, and now I’m in 8th,” to which he replies “First to Last: A Mario Kart Story.” There’s truth in that! So I made it the title.